We've heard a lot from James Gunn recently while he's been out promoting the Blu-Ray/DVD release of Guardians of the Galaxy. 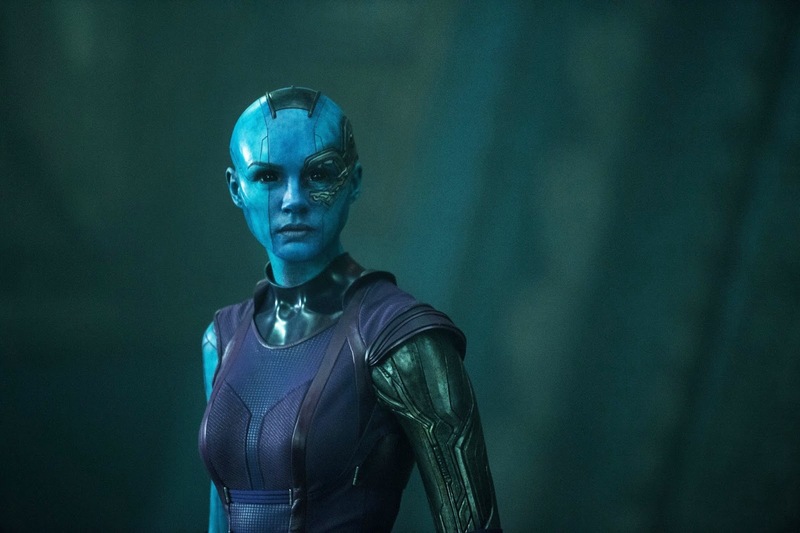 Recently, in an interview with Yahoo UK, Gunn's thoughts turned to the sequel and what we might expect from Karen Gillan's Nebula. "I love Nebula, I really do. I fell in love with the design of Nebula, I cast the role around that design, I fell in love with Karen as a person, who I love, and I love the character of Nebula and the way you feel is exactly the way we wanted people to feel, that, you know 'Oh my God, I want to see more of her,' you know, to me she's the Boba Fett of the movie, she's the one that, you know, you really dig, she's the cool one that we need to get more of, you know, and I hope to God we get a chance to see a lot, lot more of Nebula." "You know, I mean she's a layered character, she's not good or bad, I think that she needs to, she has a lot of things she needs to learn. I mean, I think one of the fun things about this movie is you have a lot of characters who are not straight down the middle good or bad, I mean the Guardians themselves are sort of like that and Nebula's like that, the Collector's like that, Yondu's like that, they're all these sort of, to me those are the most interesting characters in the movie." This isn't the first time we've heard Gunn talk about his love for Nebula and his desire to give her and Yondu more work in the sequel. The question is, on which side of things will they be? Nebula played a huge role in Jim Starlin's Infinity Gauntlet series and it'd be great to see a page-to-screen translation of that take place somewhere down the line. One thing's for sure, Nebula will be back and possibly in a little larger role when we see the Guardians again in May of 2017.